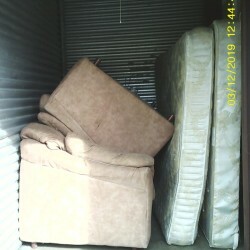 Couch, Loveseat, Dresser, Printer, (3) lamps, vacuum, TV, Bags, baskets, mattress, table This is an outside unit. 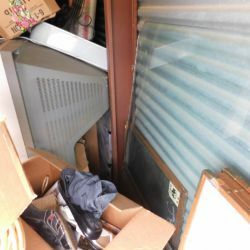 Drive-up. 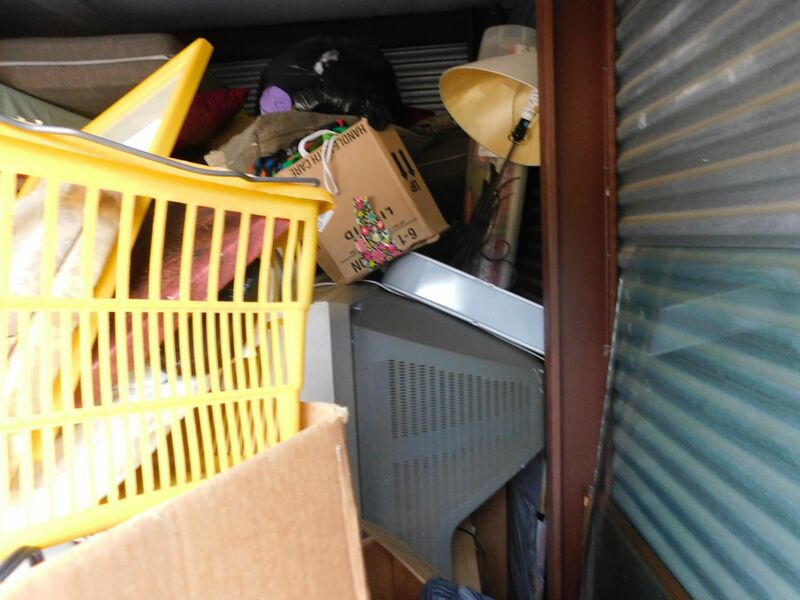 Buyer is responsible for removing the entire contents of the unit. 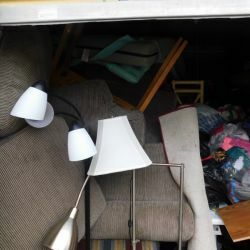 • Buyer must present valid state issued photo ID at time of pickup. 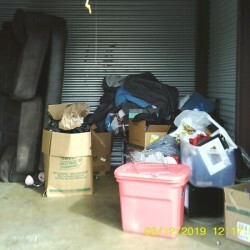 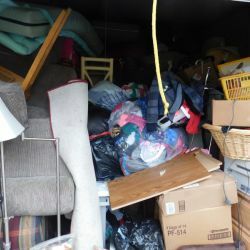 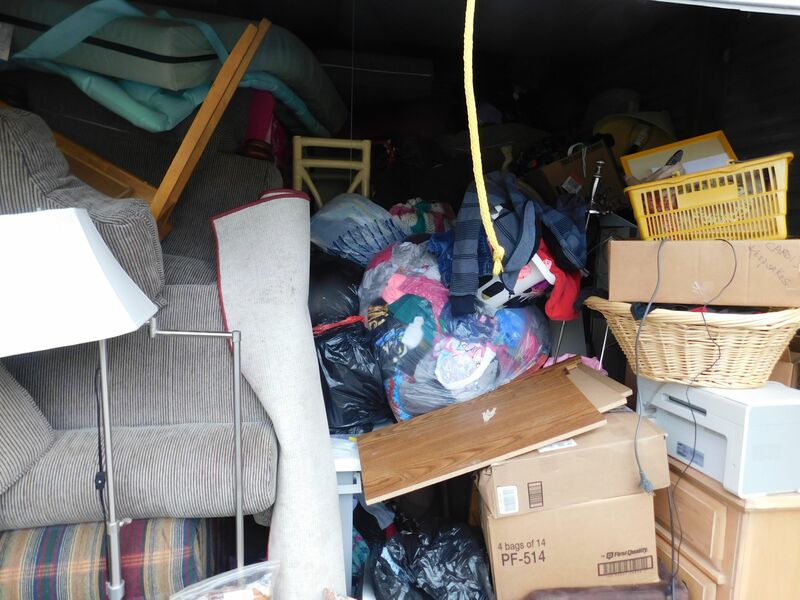 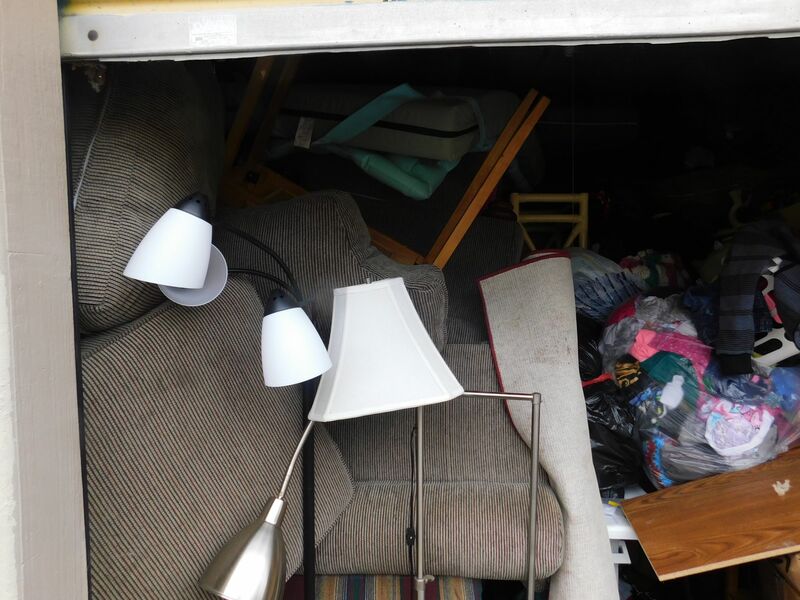 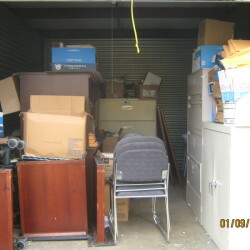 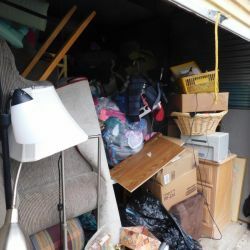 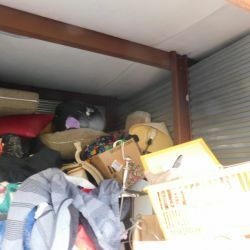 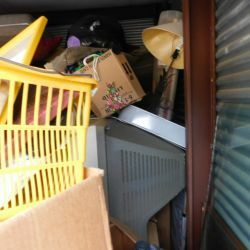 • Buyer agrees to leave any personal items (birth certificates, passports, driver’s licenses, photo albums, bank statements, etc) found in the unit with the Property Manager at time of removal. 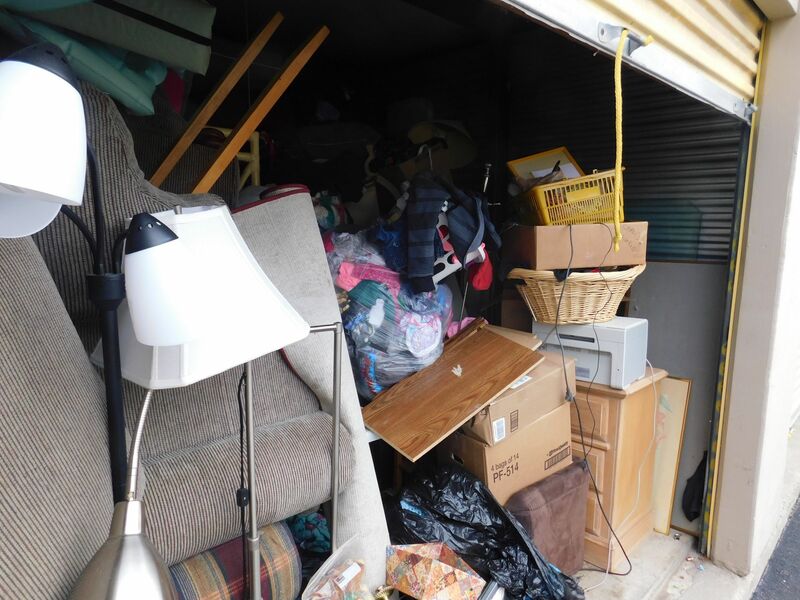 • Office hours: (Eastern Standard Time) –Monday – Friday 9:30 AM to 6:00 PM; Saturday, 8:30 AM to 5:00 PM; Sunday 10:00 AM to 2:00 PM • Simply Self Storage reserves the right to deny sale of unit for any reason including, but not limited to, the attempted purchase of the unit by a tenant currently in default. 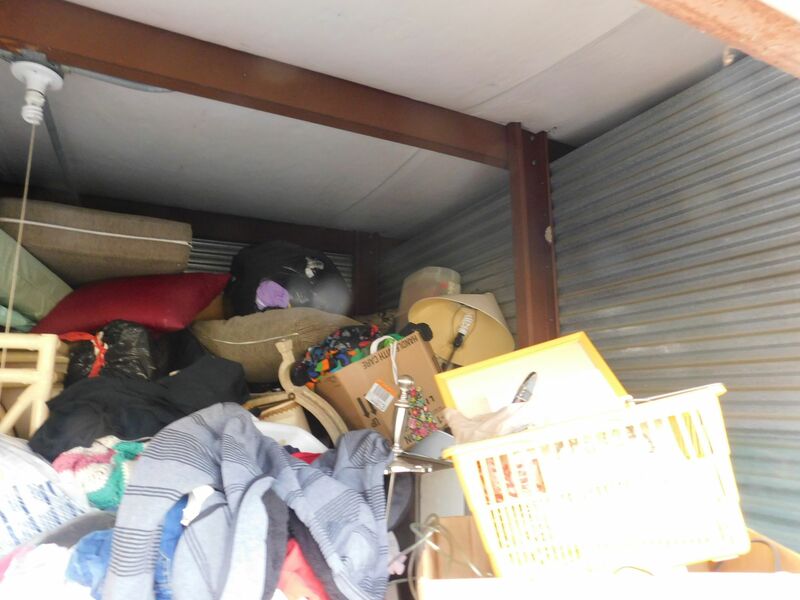 “All property secured by winning bids must be removed within 48 hours (excluding Sundays). 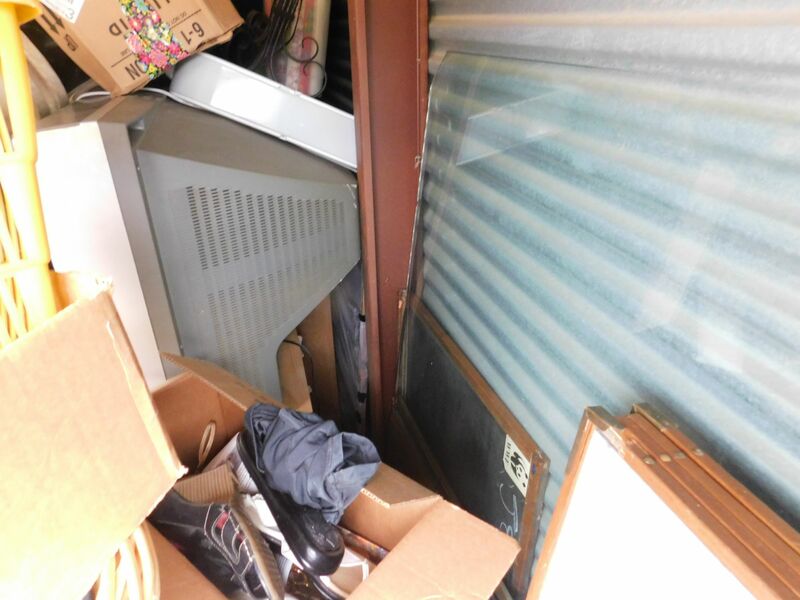 Customers have been known to store illegal substances, so please check each item carefully. 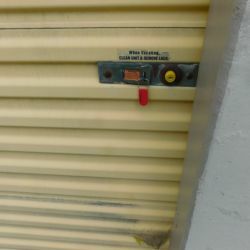 Simply Self Storage is not liable for any illegal contents removed from the storage space by the winning bidder.”most units require Cylinder locks if you have one please bring it. 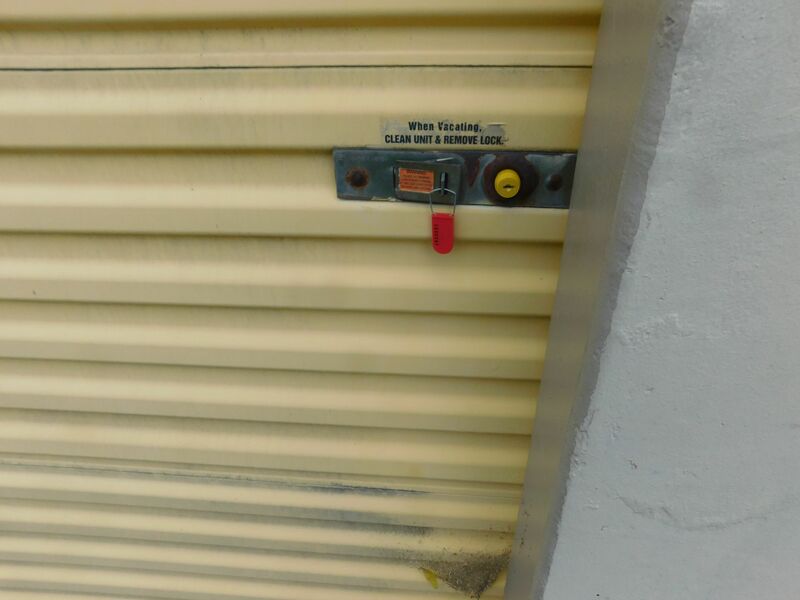 WE DO NOT GIVE GATE CODES AT THIS LOCATION. 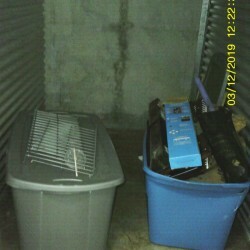 WE DO NOT ALLOW BUYERS TO USE THE DUMPSTER AT THE FACILITY.